CELDF is representing Lake Erie and Toledo residents in their joint request to participate as full parties in the lawsuit filed by the agricultural industry against the City of Toledo. 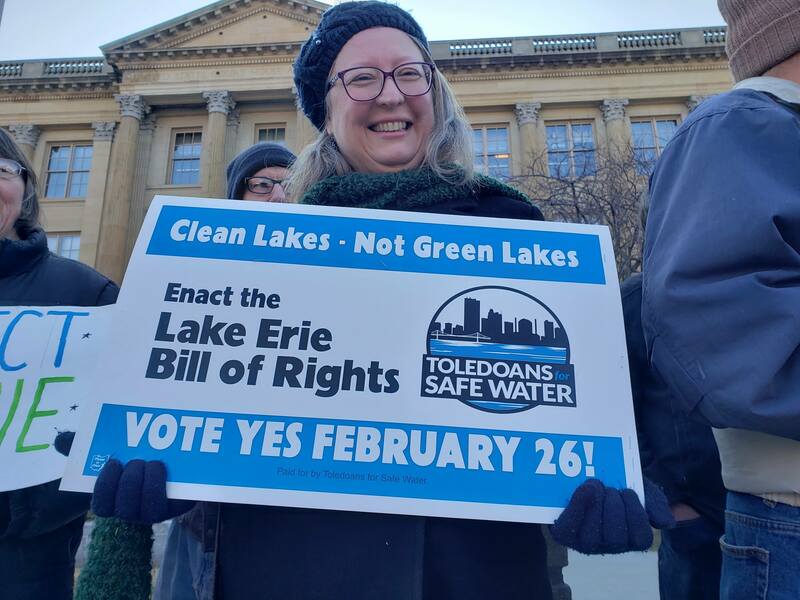 In February, Toledo, Ohio, residents adopted the Lake Erie Bill of Rights with 61% of the vote – the first rights-based law in the United States that specifically acknowledges the rights of a distinct ecosystem. It was an extraordinary win, coming after months of government and corporate interests intent on blocking citizens from voting on their own initiative. Toledo residents even overcame Houston-based BP Corporation’s outspending them 50:1 in the company’s anti-Lake Erie Bill of Rights campaign. With the vote of Toledoans, the Lake’s rights to exist, flourish, and naturally evolve were secured in law. Less than 24 hours later, corporate agriculture filed a lawsuit to overturn it. 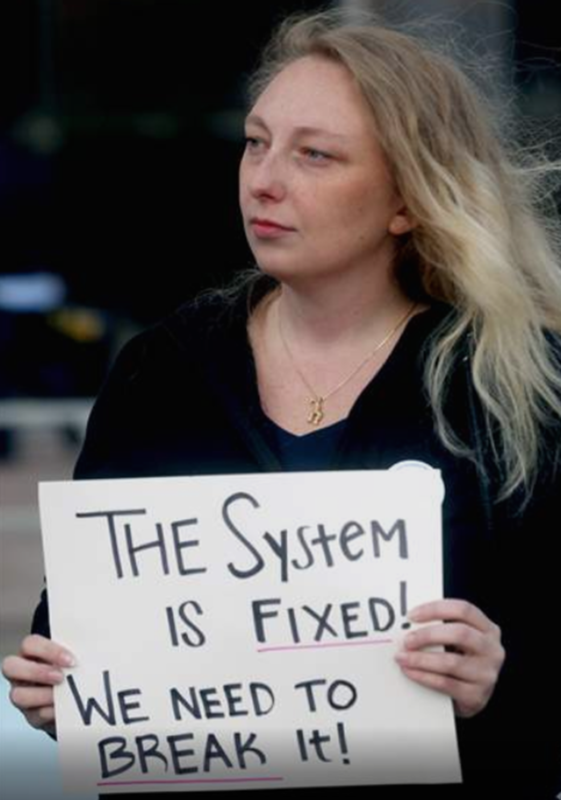 The Community Environmental Legal Defense Fund (CELDF) assisted Toledo community members to draft the citizen’s initiative and overcome obstacles to placing it on the ballot. Today, we are helping them to defend and enforce it - and other Rights of Nature laws across the country. People have sought to protect Lake Erie from pollution caused by industrial agriculture, open lake dumping, and other harms, for decades. Despite valiant efforts by concerned activists, it continues to deteriorate. Governments and regulatory agencies repeatedly fail to take meaningful action. The cost is to the Lake, communities, and ecosystems. In 2014, over 500,000 Toledo residents had no access to water for three days because of a toxic algae bloom. This first law in the United States to recognize the rights of a distinct ecosystem reverberated around the world. From US News & World Report, CNN, and NPR, to Le Monde in France, Lifegate in Italy, and the BBC in England, the Lake Erie Bill of Rights and the work of Toledoans have captured the hearts and minds of people internationally. There was only one response from the corporate state to this growing shift in consciousness of nature’s rights: attempting to quash the law as quickly as possible. If we win, this will be a groundbreaking moment in the Rights of Nature movement – beginning to transform how our legal system treats nature, from a resource to be dumped on for profit, to an entity that inherently has rights to exist and flourish. If we lose, Lake Erie will continue to be polluted. A growing “dead zone” will continue to slowly kill the Lake. Surrounding communities will continue to face the threat of having no access to clean and safe water. 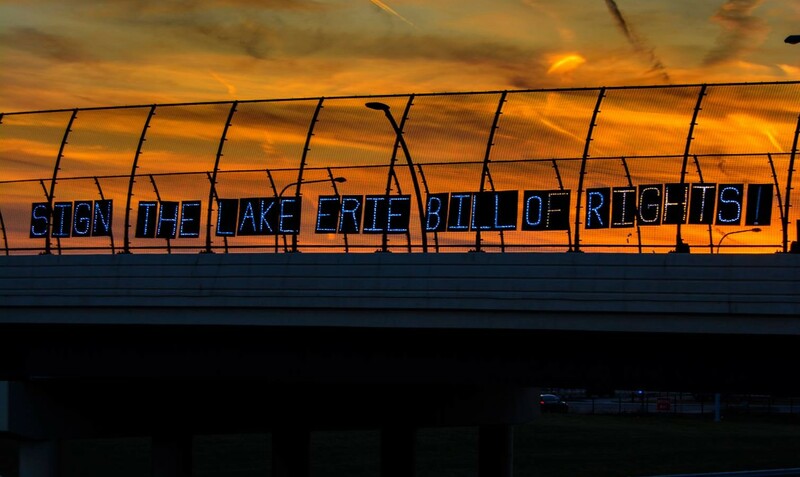 Support Our Work to Defend and Enforce the Lake Erie Bill of Rights! Your support will help CELDF drive forward Rights of Nature cases, including LEBOR, as we litigate: conducting research, drafting briefs and motions, and covering costs for in person hearings in federal court. Really appreciate the work you are doing. It's inspirational and it should continue. The state of Ohio has filed a motion to intervene in this case - on behalf of corporate agriculture rather than Lake Erie and Toledo. They claim that the Lake Erie Bill of Rights will harm the state's ability to protect the Lake! 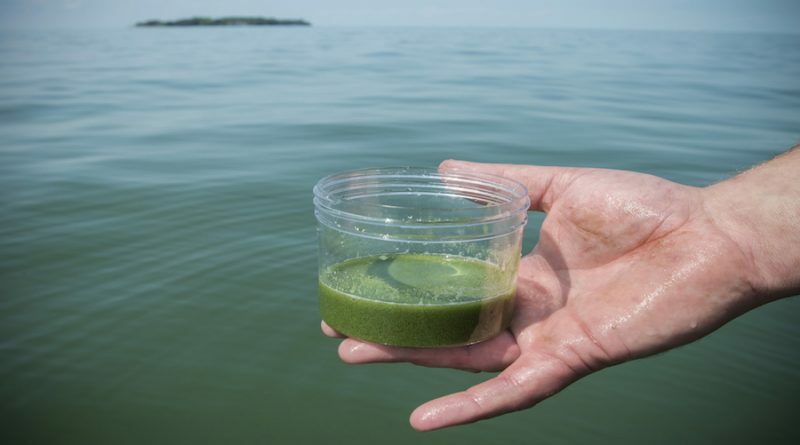 Two months ago, the people of Toledo did what their local and state representatives would not: They determined to protect the Great Lake Erie by recognizing in law the Lake’s rights to exist, flourish, and evolve. And now, the very same state government that has failed to protect Lake Erie and Toledo residents wants to stop the people of Toledo from doing so. Your support will help us not only to fight for Lake Erie and Toledo residents, but to continue advancing nature's rights in the Great Lakes region and beyond. Please donate to help our campaign - and spread the word to your friends and family. Every dollar and every share counts!